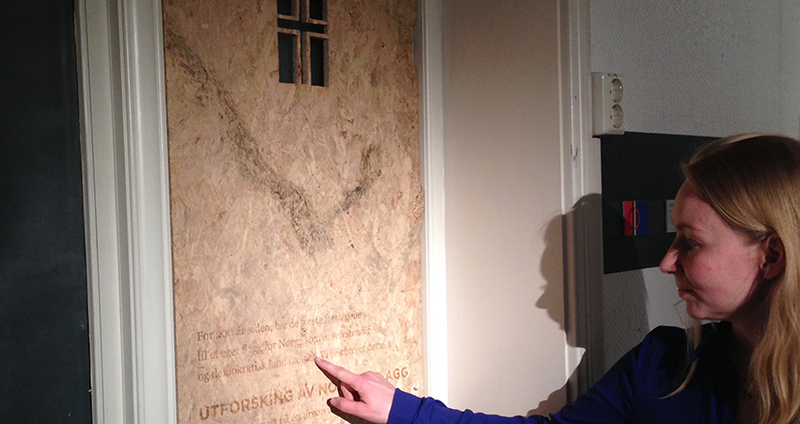 Artwork created in 2012 to be executed during shows about the project “Utforsking av Norges flagg” (Eng. Explorations in the Norwegian Flag) and in specific cases. It was renamed as Memento in 2017. 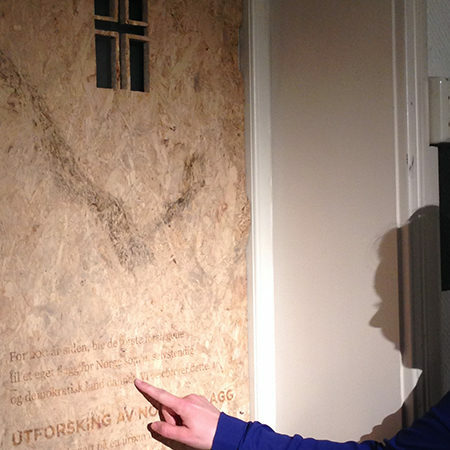 It is based in covering all or some of the windows of the exhibition room where the show is being held, with wooden plates previously used for covering broken windows after the terrorist attack in Oslo 2011. When visible in short distance, this materials include a short text about the project. 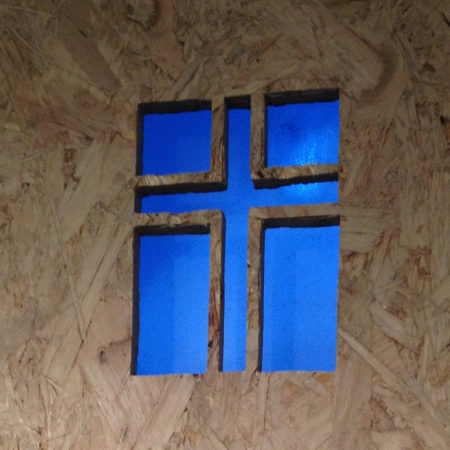 Wooden plates can also include a small representation of the Norwegian flag made in vertical, by removing where the red and blue colours should be, leaving wood where the white lines. 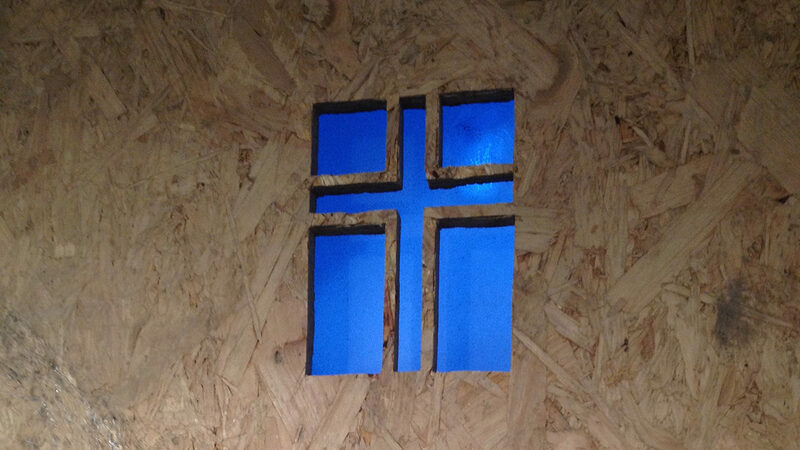 In that scenario, the window behind the flag should be broken or with sanded vinyl. “Memoria” is an artwork developed with the greatest respect to all victims of this atrocious attacks.